Includes Sand Core and Mold manufacturing, Pattern Shop, 3D Sand Printing and the UNItube Blow Tube System. 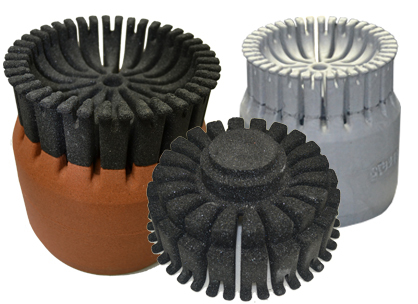 With over 50 years of experience in the foundry industry, Humtown Products is equipped in the manufacturing, packaging and delivery of sand cores and molds. Humtown initially was established as a pattern shop in 1959. Pattern making – once the domain of uniquely skilled artisans working exclusively in wood – is an invaluable part of Humtown’s heritage. Today, our craftsmen produce patterns using conventional methods and the latest technology. 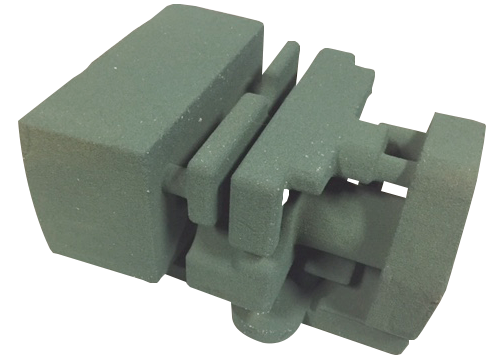 When the traditional manufacturing methods of sand cores and molds just won’t do, Humtown Products skillfully uses 3D sand printing technology (additive manufacturing) to produce cores and molds for foundry customers. The UNItube System solves many problems commonly encountered in production core making. 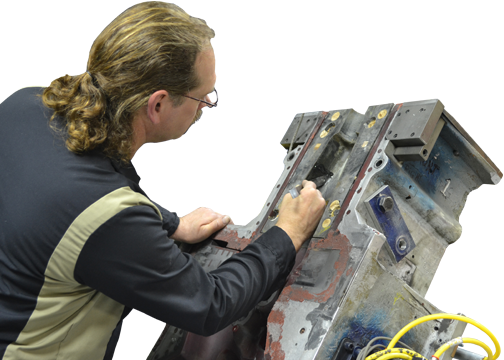 Misalignment of the core machine at the squeeze-blow position can often cause severe damage to an unyielding metal tube or the core box. 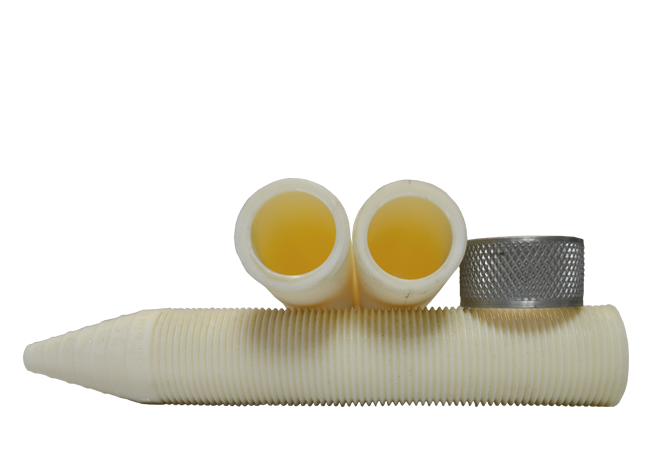 Metal blow tubes, with their rigid construction and inflexibility, can cause damage to the core box if misaligned. 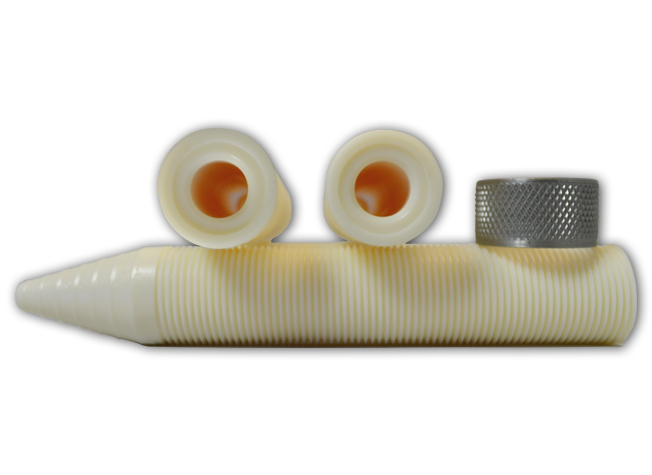 The UNItube System absorbs greater misalignment stress due to its unique high-impact plastic design. The UNIplug has a thicker wall that allows for the installation of a core vent for gassing or tamping tube. 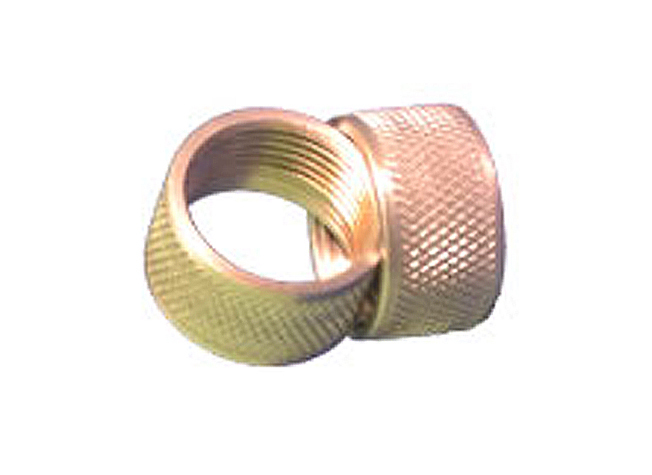 The UNInut can be used as a lock nut while installing the UNItube or UNIplug. It can also be used as a coupler to connect multiple UNItubes together if an extended UNItube is required.